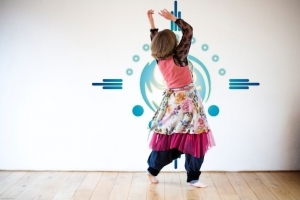 Movement Medicine is a dance practice, and an awareness practice. It invites us to dance deep into the experience of our own bodies. You need no prior experience, only a desire to dance and connect with your own wisdom and wildness. In movement we can learn to be inspired by the elements around us and within us, the Earth, the Water, the Air and Fire. Movement Medicine keeps bringing us back to the dancers that we are, and allows us to tap into the wisdom of our own bodies. Each person is a dancer. Our bodies, even in stillness are dancing with life. The breath in and out of our lungs. The blood pumping round our bodies. Eating, sleeping, digesting… all of it is a dance with all of creation. And through Conscious Dance we can become more profoundly connected with Nature and with our own true nature. 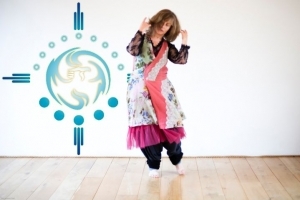 Ya’Acov and Susannah Darling Khan are the founders of Movement Medicine. I have been studying and dancing with them since 1999. They are inspiring, encouraging and profoundly kind teachers, and my teaching has been deeply influenced by them. They inspire me to love who I am right now and to become all I can be. And the dance can inspire you to love who you are right now and become all you can be. They have encouraged me to step more deeply into faith in myself and in the whole of creation. 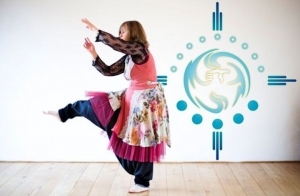 The dance can encourage you to step into a deeper faith in yourself and your connection with all that is. They have been profoundly kind to me in all sorts of journeys and challenges. The dance gives us tools and processes to grow our own kindness to ourselves, whatever life throws at us.